As a financial elder abuse lawyer in Los Angeles, I know that California’s elderly population has been rapidly increasing in the last three decades. People age 65 and older are the fastest-growing segment of California’s population. In some counties, the increase since 1990 has been more than 150 percent. In Los Angeles, the percentage increase of older adults since 1990 is between 50 and 99 percent. As the segment of senior citizens has rapidly increased, so have concerns about the potential for elder abuse in the state. 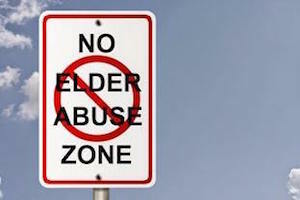 There are various types of elder abuse. Financial exploitation of the elderly is especially problematic and rampant, and there are laws in California that are meant to protect older adults from this type of economic exploitation. Financial abuse of senior citizens may take multiple forms. It can involve taking the checks of an elderly person and cashing them without permission. Some people steal checks and forge them. Others withdraw large amounts of money from their victims’ bank accounts. Exploitation also includes stealing money or possessions from elders. Some people coerce older adults into signing documents such as wills or contracts. Finally, some perpetrators financially exploit older people by abusing their powers of attorney, conservatorships or guardianships. There are some common signs that elderly people are being exploited. They may not be taking care of their basic expenses despite the fact that they should be able to afford them. Suddenly changing their normal banking practices is also a sign, including having another person who is with the older adult withdraw a large amount of money. Adding extra names to accounts may be a sign, and unauthorized withdrawals using the older adult’s ATM card are also suspect. Relatives who were previously uninvolved may suddenly appear and lay claim to the elderly person’s possessions or money. Discovering forged signatures is another indicator that exploitation is occurring. Making larger than necessary loans against homes in order to finance investments may also indicate exploitation. Elders adding caretakers’ names to their wills in exchange for continued caretaking may also indicate that they are being exploited. California law penalizes the exploitation of the elderly, and a lawyer who accepts elder abuse cases may help clients with recovering the money that was stolen. Under California Welfare and Institutions Code § 15610.30, plaintiffs must prove several things to show that an older person was exploited. The plaintiff’s lawyer will work to prove that the defendant retained, appropriated, hid or took the property or money of the elderly person or helped someone else with doing so. He or she will also demonstrate that the older adult was either 65 or older or was a dependent adult at the time and that the person who took, retained, appropriated or hid the property did so for an unlawful purpose or with the intent to defraud the victim. Finally, he or she will need to prove that the victim suffered harm that was caused by the defendant’s actions. The cases may be brought either by the elderly victims of abuse or by their decedents if the exploitation is discovered after their deaths. In addition to compensatory damages, the court will award reasonable attorneys’ fees and costs to plaintiffs who are able to prove that the abuse happened. Victims may also be able to recover damages for pain and suffering in some cases. If you are an older person who has been financially exploited, or you are the family member of an elderly person who is being or has been financially abused, it is important that you seek legal help. An attorney who accepts cases involving abuse or neglect of the elderly may help clients to gather documentary proof that the abuse has occurred. He or she may file a civil complaint on the client’s behalf to initial the civil lawsuit. Victims may also want to report what has happened to law enforcement authorities in order to pursue criminal charges simultaneously with their civil matters. Contact a lawyer today to schedule your contact us and to learn about your rights.